On January 25, 2019, Rutherford County Special Emergency Response Team executed search warrant at residence on Hwy 64 Rutherfordton, N..C. This search warrant was joint effort between the Rutherford County Sheriff Office and Rutherfordton Police Department. During execution of search warrant 185 grams marijuana, 240 oxycodone pills, two handguns, U.S. Currency and drug paraphernalia was seized from the residence. Two of the occupants of the residence were arrested. Iykiemie Hassan Franklin was charged with Trafficking Opiates, PWIMSD Schedule VI, two counts firearm by felon, maintain dwelling and drug paraphernalia. 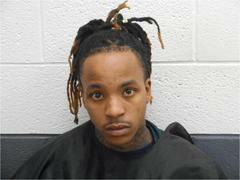 Franklin received $90,000.00 secured bond. Micah Brooks was charged with Two Counts Aid and Abet Firearm by Felon, Trafficking Opiates, PWIMSD Schedule VI, maintain dwelling and drug paraphernalia. 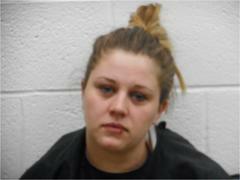 Brooks received $25,000.00 secured bond.